Cookies - Quin Bite - A bite of Happiness! 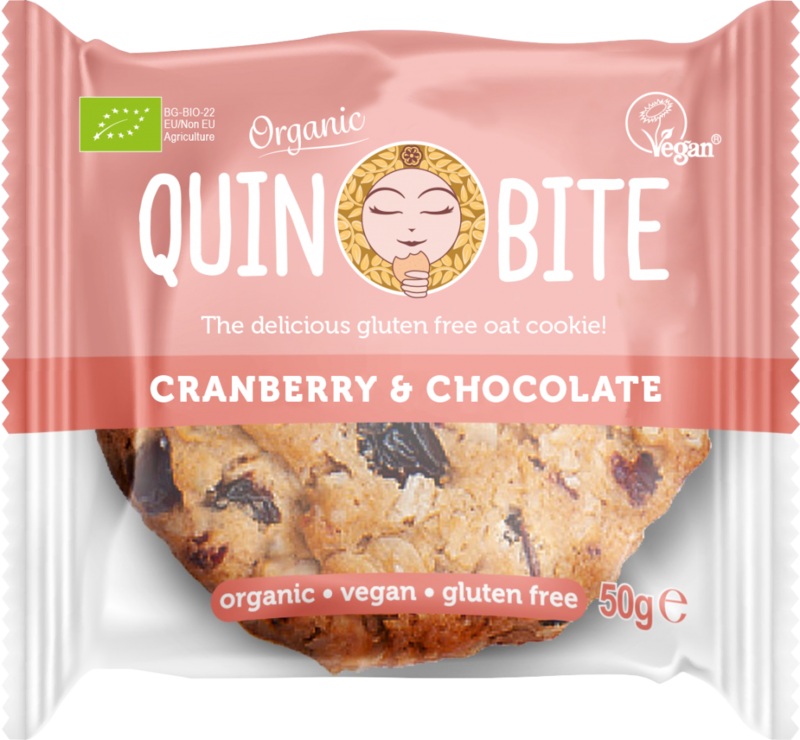 QUIN BITE – the delicious gluten free oat cookie! 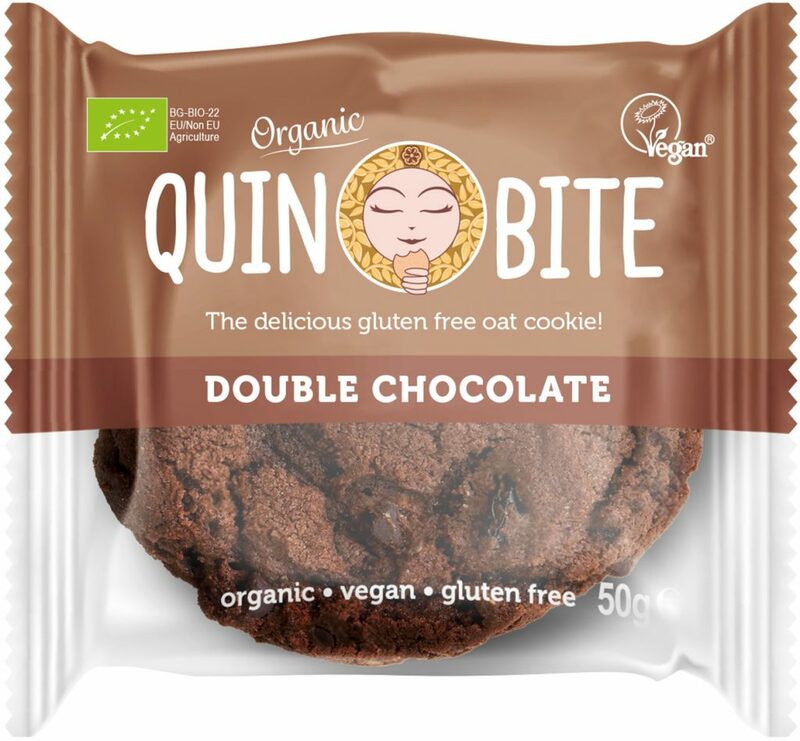 Quin bite offers now gluten-free vegan oat cookies. Made with 100% natural organic ingredients, crispy, delicious and healthy. Enjoy our 3 brand new tastes and share them with your family and friends. QUIN BITE Coconut and Orange Bio vegan gluten-free cookie 50g Amazing taste of coconut and orange for dessert lovers. Enjoy the crispy and healthy recipe ideal for breakfast. Ingredients: Bio oats gluten free (41%), bio agave syrup, bio coconut oil, bio cashew, bio coconut chips (9.5%), bio pieces of chocolate (cocoa mass, coconut sugar, cocoa butter) orange oil (0.06%), iodized salt….